"Be a Leaf." The purpose of a “Leaf” is to extend the communion table from which we receive the Lord’s Supper to include those who are homebound and desire to receive the sacrament. As we extend the table by adding additional leaves when we entertain at home in order to make a place at the table for all, so a “Leaf” extends the table of the Lord. 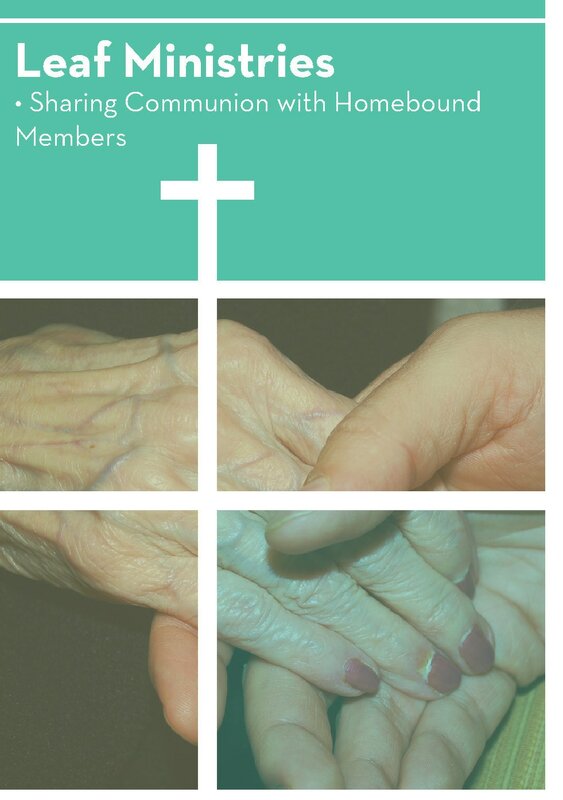 A “Leaf” is an individual or family in the congregation who shares the love and compassion of Jesus by administering the Lord’s Supper to a homebound member once a month within 24 hours after worship. A “Leaf” makes one visit per month. The visit takes about 30 minutes. Learn more about how this ministry might be right for you by contacting Pastor Pam.